"And the Oscar Goes to...": What we can learn from the 2017 Oscars big screw-up. It was a moment in which--I guarantee you--every event producer, or person working with live events, gasped and muttered some version of "oh NO." 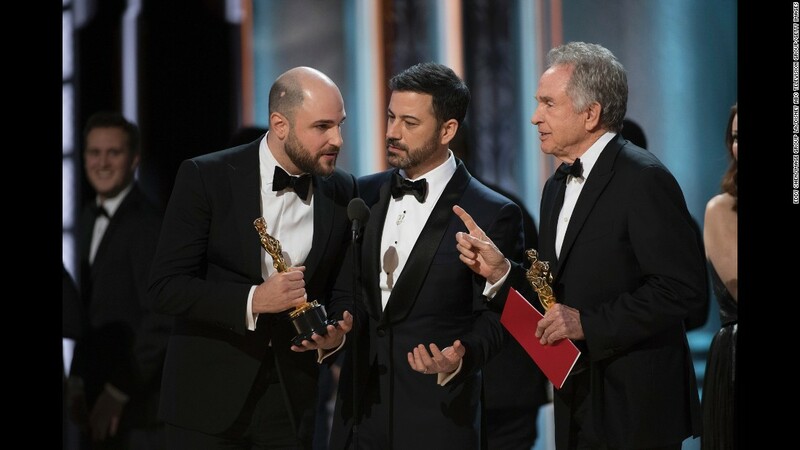 That moment when, at the 2017 Oscars, they figured out that they had announced the WRONG WINNER for Best Picture. To the average person at home it was a surprise or an amusement or a small shock--but to us it was our worst nightmare come to life in front of our eyes. My own sense of empathy was off the charts and I imagine the a/v crew, producers, handlers, etc., backstage scrambling; furious chatter over the com system trying to figure out how it could have happened. Sometimes when things go wrong at your event--they really go wrong. Most of the time it isn't quite as public as a huge televised award show watched by ~33 million people. But here are some things that we can learn from the Oscars screw-up that we can apply to our own events, should things ever go wrong. Correct the issue in the moment. You're not going to be able to hide when something goes seriously wrong. Own up to it. Apologize and continue. Most of the audience wants to see you succeed and will be feeling the pain of your mistake right along with you. Don't worry about *how* the mistake came to be right then and there--you can take time to mull it over and decide whether the explanation is important. The host, Jimmy Kimmel, was really great at saying, "Hey, this is an awards show. It's live. Things happen," and going with the flow. Obviously everyone was flustered, but they reduced the awkwardness by keeping the ending short and saying they'd figure it out later. Sure, it didn't have the impact that it was supposed to have, but it kept it from delving into the minutia of mistakes. Try to make it up to the impacted parties. The Oscar mistake truly did steal the spotlight from the Best Picture award winner. Even though time was running short, they were given their due with their speeches, and are being given ample recognition the day after the event. If this happens at your event, a special call-out to the wronged party may be in order--even if it's not at the event itself. In this type of event, secrecy is key. But at YOUR event? Give up a little secrecy to make sure that everyone has double checked EVERYTHING. Some mistakes are still going to happen because it's a live event--mistakes happen. Spontaneity that leads to a sparkling, vivid event can also cut the other way and leave the door open for mistakes. Even big mistakes. Mistakes will happen, but dealing with them with grace and aplomb can mean the difference between a disaster and a minor embarrassment.